GM wants a decision on investors “sooner rather than later,” its CFO said. “We would like a party that wants to grow the Opel and Vauxhall brands. We also want someone who wants to engage with GM on synergies,” Young told a news conference in Detroit today. GM is talking to companies interested in taking a stake in its European operations, which include Germany's Opel and sister brand Vauxhall. GM Europe needs an outside investor to secure 3.3 billion euros ($4.4 billion) in loan guarantees from European governments where it has manufacturing operations. Young said GM would talk to investors about collaboration in product development to improve efficiency and reduce costs. Europe is GM's center of global development for compact and mid-sized cars as well as small gasoline engines. “Whoever invests in Europe has a great incentive to make sure there is collaboration in global product development. They do not want to reinvent the wheel,” said Young. Fiat S.p.A. is talking with GM about merging GM's European operations with Fiat's car business. Fiat CEO Sergio Marchionne would like to include GM's Latin American opeations into the new company, sources have told Automotive News Europe. Meanwhile, GM is eyeing a stake as high as 30 percent in Fiat, the New York Times reported on its Web site Thursday. Marchionne has indicated a willingness to give up less than 10 percent, the paper said, citing two people close to the negotiations. Young spoke after GM Europe reported a first-quarter operating loss of $2 billion. The company posted a $100 million profit during the same period in 2008. Young said the main reason for the decline was “significant” reduction in production volume and unfavorable exchange rates. GM's European output dropped to 267,000 units in the first three months of 2009, from 493,000 in 2008. This meant GM Europe was burning through cash, although Young would not say how much. He also would not reveal whether further production cuts were planned in Europe. “We are managing the business very carefully. We have been bringing down inventories and we are making sure we do not have any excess of inventories,” the CFO said. 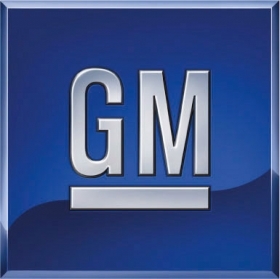 Unfavorable exchange rates also damaged GM's position in Europe. “The pound depreciated by 20 percent versus the euro, and we have a sizable presence in the UK. Because of the weakening of the pound versus the euro we took a fairly sizable loss.” he said. GM Europe's financial figures do not include revenue from Chevrolet, which reports its figures in GM's Asia Pacific region.